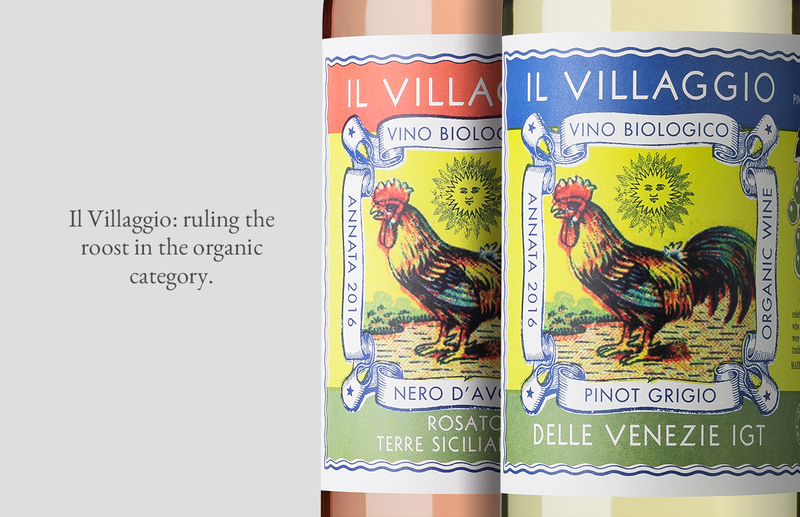 Il Villaggio: ruling the roost in the organic category. 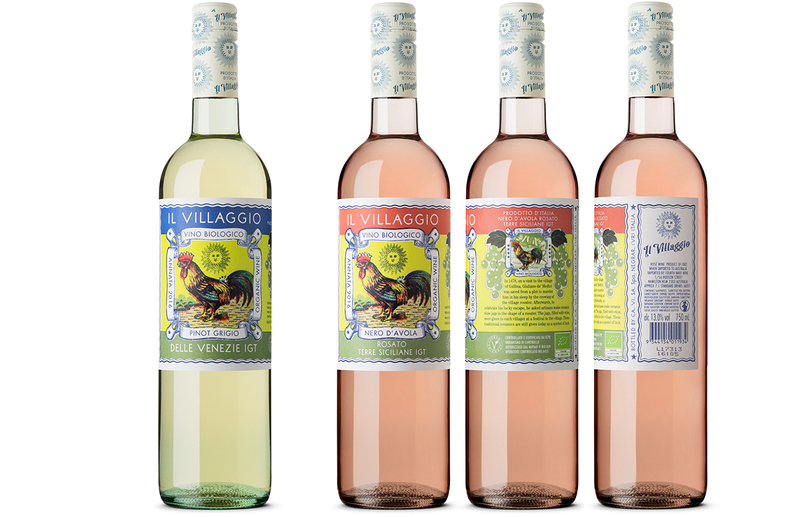 Our client briefed us to develop a name and identity for a new range of Italian organic wines. He wanted to capture the rustic charm of the Italian countryside as well as stand out in the predominantly conservative category. We used the story behind renaissance majolica wine jugs where Giuliano de’ Medici was saved from a plot to murder him in his sleep by the crowing of the village rooster. Afterwards, to celebrate his lucky escape, he gave every villager a gift of wine in a ceramic jug, specially made in the shape of a rooster. These traditional ceramics are still given today as a symbol of luck. 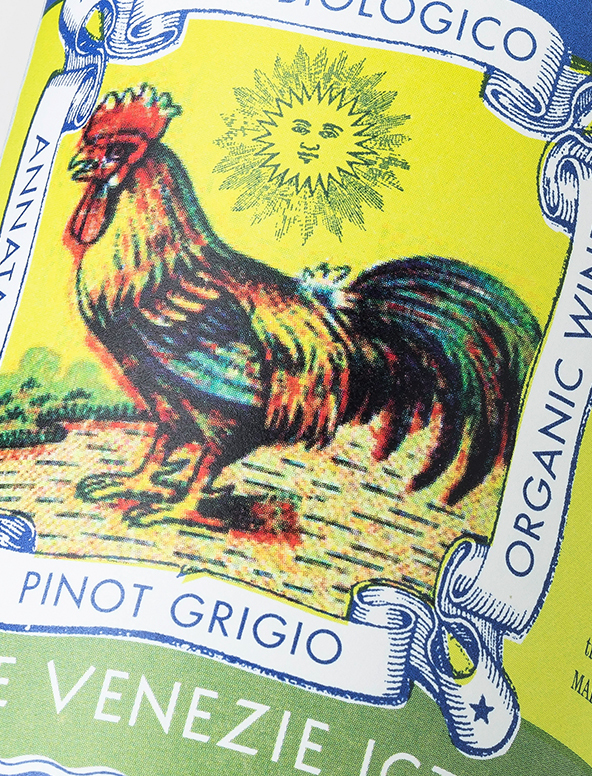 We felt the rooster tied in beautifully with the organic nature of the wine as well as its links to wine and celebration in Italy. The inspiration for the look of the brand was vintage Italian food packaging: fruit wrappers, delicatessen waxed papers and olive oil tins. 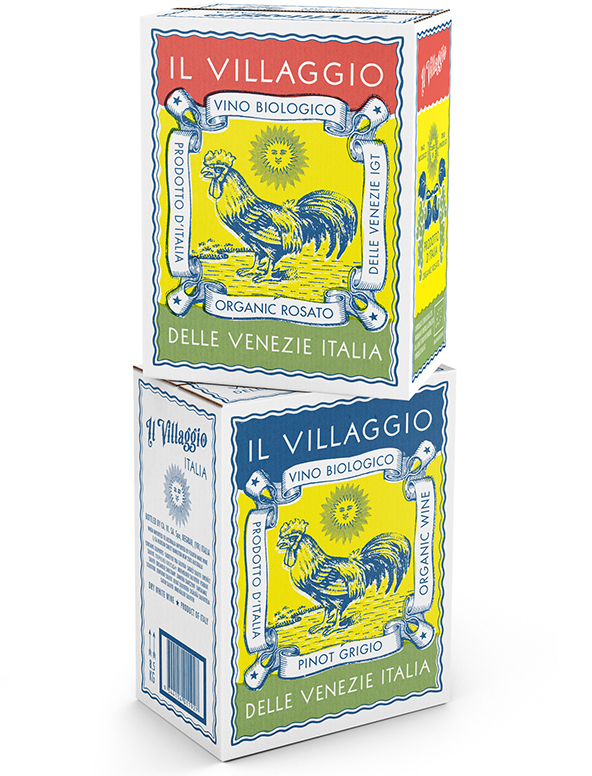 The label itself was inspired by the wrap labels on classic Italian tinned tomatoes.